Frankly, the first name that pops up in mind when we say eBook readers is Kindle. That’s the truth after all. The eBook reader who came out in the early 1990’s has become a force to reckon with. Amazon poured in all it could be regarding innovation and readability in this device. In the process, they set out a benchmark of eBook design and ease, which not many can still reach. However, there have been many eBook readers who are recently coming out in the market. Book critics, claim that eBook readers like Nook or Kobo (both a bit costlier than Kindle) are a better choice. Yes, they lack in the affordability, but eventually, they make a mark with features like water resistance, build quality, etc. Joining the ranks of these ebook readers is a new player in the market, Bookeen. The story of Bookeen starts with a company called Cytale. Not many of today’s ebook reading generation would know about this company. Although it does not exist anymore, its claim to fame is the introduction of eBook readers to the world. Funny isn’t it? Right product at the wrong time perhaps. Who can tell? But what we can say is that the Cytale gave way to a good enough idea that eBook readers could be real. Not only that, two employees of Cytale, Laurent Picard, and Michaël Dahan, went on to establish Bookeen. So the first step they took was to buy out the intellectual property of the Cytale reading device, Cybook Gen1. And that was the start of the eBook ranges, starting with Cybook Gen1. However, the product never actually flew off. It was the only product for the company for almost four years, till 2007. At this point, Bookeen came across a new technology which changed the way we read eBooks. 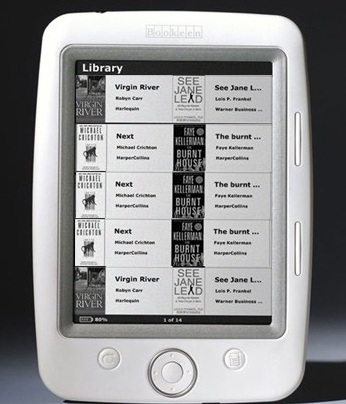 Book lovers called it E-Ink. Naturally, Bookeen took upon this innovation and brought forward their next product. They called the product Cybook Gen3, featuring E-Ink for the new age users and readers. Now that the company had something going for it, it became more regular in its innovation. By the end of 2008, Bookeen was looking to dabble with an eBook format which was taking the ebook world by storm, ePub. The format was more versatile than PDF and Doc, easier than HTML or XHTML and showed good promise like Mobi. All in all, the publishers got their hands on the eBook format, ePub, for all their needs. Thus, Ebook readers now had to upgrade their systems to tap into the potential of ePub. Bookeen with its future products looked to achieve the same. The models of Cybook Gen 3, got free firmware upgrades to support both ePub and Mobi versions of eBooks. You can get these packages from online web portals even today. In its pursuit to gather different market, Bookeen took up collaborations with a Swedish eBook company, AdLibris. After that, AdLibris brought the Cybook Gen 3 into Swedish markets under a different name, Laspatta. You can still buy this model from online portals like Amazon and eBay. The only difference you may see in the models is that everything from the settings, buttons, and menu will be in Swedish. This led to further collaborations as well. In the next couple of years, Bookeen and AdLibris came out with multiple twin products. As we saw earlier, Bookeen brought out its first eBook reader in the form of Cybook Gen1. 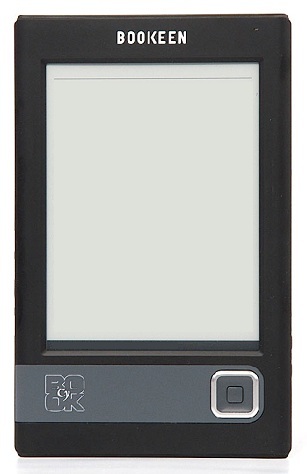 Then, in a gap of four years, you had the Cybook Gen 3, which came out with e-Ink technology. The eBook reader could also support ePub and Mobi versions of ebooks as well. 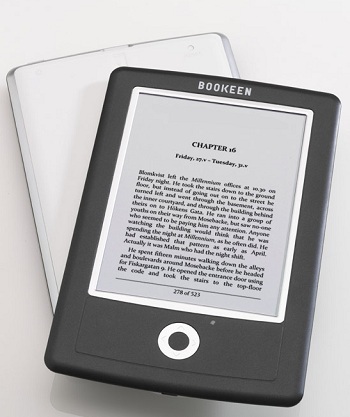 In a couple of years, Bookeen got out with its flagship eBook reader in the year 2009. The naming trend was broken up, as they now called it, Cybook Opus. Cybook Opus was a feature loaded eBook reader, which came with an excellent improved shape, accelerometer, 1GB of memory to run the party. And the exciting thing was that these devices came with firmware versions. The first feature which you get when you use the Cybook Gen3 is the e-Ink technology. What makes it stand apart is its ability to look very different from other computer screens, in the way it feels way more relaxed on the eyes. The screen never flickers or ends up using backlight more than required. It just does what it sets out to do. A rock-steady display, built to withstand high use, four layers of grayscale and much more. The screen saves the day practically speaking. The controls and the weight of the device are minimal. You won’t feel a thing while carrying this device over your daily routine. The use of eBook reader is defined by the ease of loading up ebooks in it. To cater this, Bookeep has multiple options. A user can load up ebooks via USB cable (like previous versions of Kindle), and even you can add an SD card to get more out of it. Of course, you get many other format support apart from ePub and Mobi. You get the support for TXT, PDF, HTML and PRC as well. The beautiful thing about this device is that it supports audio formats as well like AAC, MP3 and more. Now, you can read through your ebooks with pleasant books playing in the background. Reading is joyful again. The problems with the device if at all, lie with the lack of jump pages. The device which gets your attention is what it says when you look at Cybook Opus 2009. To explain it further, you will see that the device is round and glossy and is covered in a neat looking metallic casing. 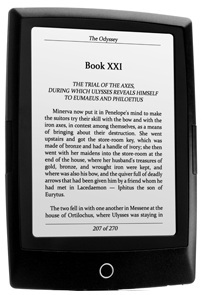 Perhaps the smallest eBook reader we have in the market Cybook Opus by Bookeen is all you can desire. It’s great to watch and works well with multiple eBook formats. Weighing a little over 150g, and coming in a simple 5-inch body, Cybook Opus is truly handy when you are traveling. Practically, you can carry it anywhere. What works for Opus here is the way it is designed. Bookeep while going for this device, made sure that you got a nav pad. Even the menu and the home buttons are nicely arranged. You get two long and thin buttons which you can use to turn pages. Are you someone who likes your device to sit in your palm? With Cybook Opus you got it. You can use the long and thin buttons which can turn the pages, and access them with your thumb. You can also orient the screen sizes by turning the device simply in your hand. A handy feature while you are laying down and reading of course. However, the only complaint which we can have is that the device itself looks a bit cheap and can attract many scratches. You could perhaps find that Sony reader comes in a better package with similar features in it. Bookeep at this point has all the experience it needs to bring out proper devices. In the exclusive group of eBook reader, Bookeep with its Opus devices stands worthy of use. However, in 2011, Cybook series of eBook readers changed into something more. It became a slim, feature loaded, OS supportive, and eBook library growing eBook reader. The device itself came out with WiFi capabilities, and access to the eBook library within the device. Orizon in comparison to Kindle devices uses a different way of tracking books. It uses Adobe Digital Editions which asks you to enter your Adobe ID before accessing a book. The problem is that Bookeen is a weird inclusion, put in its login account system; Thus, you have to enter two account details to get going. As many eBook readers provide these days, like Namo Pubtree or Kobo Aura, you also get an inbuilt eBook library within Cybook. However, you will see that the library is totally in German and hosts mostly German books. That is perhaps Bookeep’s biggest flaw. Having said that, you still can get your hands on practically millions of eBook sin English. All you need to do is put free eBook sites as a shortcut bookmark in the inbuilt browser. Load up something like Scribd or Project Guttenberg, and you are set for reading. Although you just get a very less memory, hence you may want to reshuffle the entries once in a while. 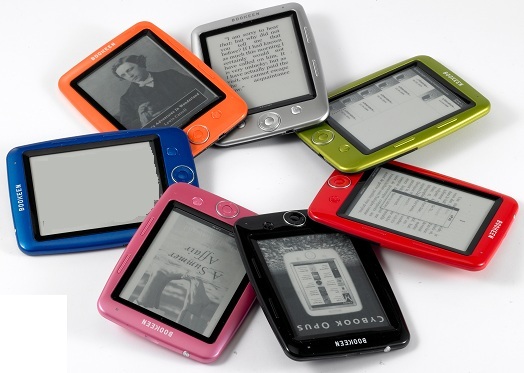 To bring out a front-lit eBook reader is not a simple task by any means. Biggest companies like Sony Reader, Microsoft LIT, etc. have failed to do so. The ask for the front lit ebook reader is universal, and Kindle has long been the master of it. Later, came around Nook and Kobo offering the same. Bookeep which believes in innovation in its products every time bring forward Cybook Odyssey to meet the need. Enter Cybook Odyssey which comes with an intelligent front lit feature, which makes reading all the more enjoyable. Odyssey came out as a successor to decent series of book readers, and therefore had all their good things and more. The need to up the quality is apparent here, as Cybook Odyssey comes in a weight of 6.4 ounces. In comparison, it is still lighter when you compare it with Amazon Kindle and Barnes & Noble Nook. Now, most of the users have an issue with other editions of Bookeep devices is that they don’t support PDF reflow. Thankfully, you won’t find it an issue with Odyssey. There’s that, and of course a huge upgrade in resolution. 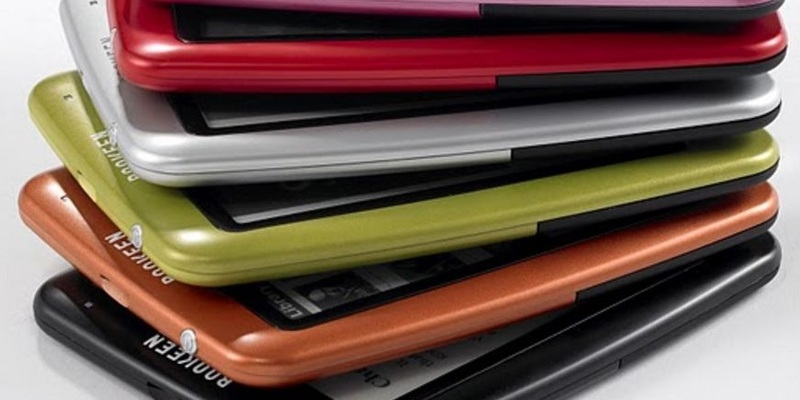 The makers of the eBook reader, BooKeep claims that the resolution density has gone up by almost a 60 percent. When you compare it to the Kindle Paperwhite, this is a huge margin. Additionally, there’s the new update to OS, So all to say, Cybook Odyssey has some decently good features going for it. It’s classy, crispy and has loads of new features which make it an excellent HD front light device. Till now, Bookeen Cybook had many versions which offered multiple functions. Some focused on the shape and built of the device, while the later ones went to include readability features. You can now safely say that these devices are the closest to overhaul the Kindle devices. However, Kindle is widely accepted by users all over the world as the best eBook reader. Although it has its arguments, there are valid reasons for it. Kindle has features such as Syncing capabilities, Unlimited Library, Ease of Carrying and more importantly affordability. When you compare Cybook Muse to its earlier versions, you will find that it weighs significantly lesser. Because of the careful design, there’s been a drastic 17% reduction in weight and feel of the device. Now, that is what you need when you travel around. Not some bulky KindleFire HD. Critics also claim that Muse is perhaps the best durable device out in the market, as the battery lasts more than a week on a single charge. Although, there are mixed reactions as to why there are physical buttons on the device when the device clearly is multi-touch responsive. We’ll leave that discussion to the eBook readers and just say this. Bookeen Cybook Muse is perhaps something you can use effectively, assuming you have the funds for it. Although Bookeen is the market for more than a decade now, it is still pretty new in its approach. The devices as we mentioned above bring some cool features forward and are easy to use. Yes, it’s still at the stage where it can only far away challenge the likes of Kobo, Nook, or the ever versatile Sony reader. Now, there is a lot of promise for these devices, but there’s a long way to go. With so many wonderful readers coming to the market, your options to make big are unlimited. We understand that most of the digital works need professional publishing services. Therefore, let us help you in this pursuit, as we are a multinational business enterprise with expertise in providing Publishing services. Trust us to bring out your books in the best format possible and make them compatible with every eBook reader around the world.